Weather: Warm ~25°C and Sunny! Paul Kerr from Gotham's Finest joined as Batman. The morning started at 9am where I met with Paul (who was already dressed up as Batman). 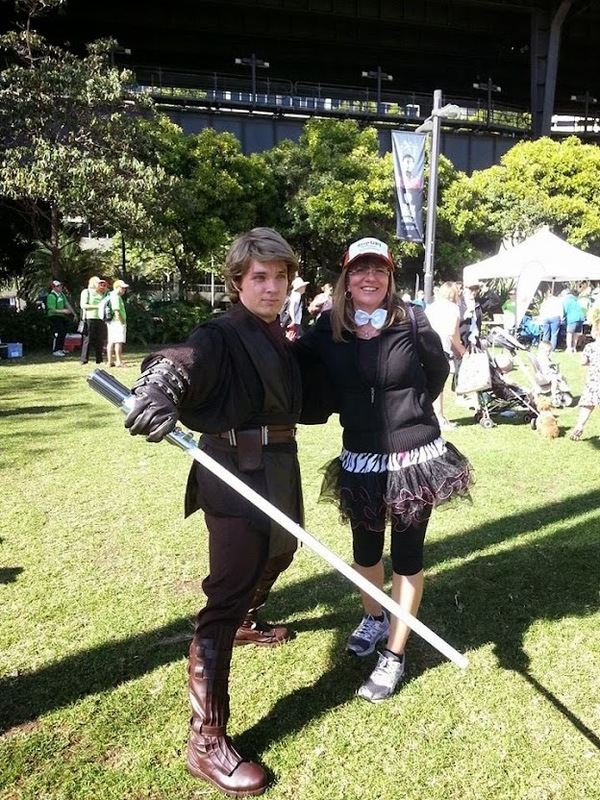 I quickly got into my Anakin gear and joined him in First Fleet Park. Though initially not many people were there, the park soon started to gather more and more of a crowd, as all the kids and their families stated getting for ready for the walk. 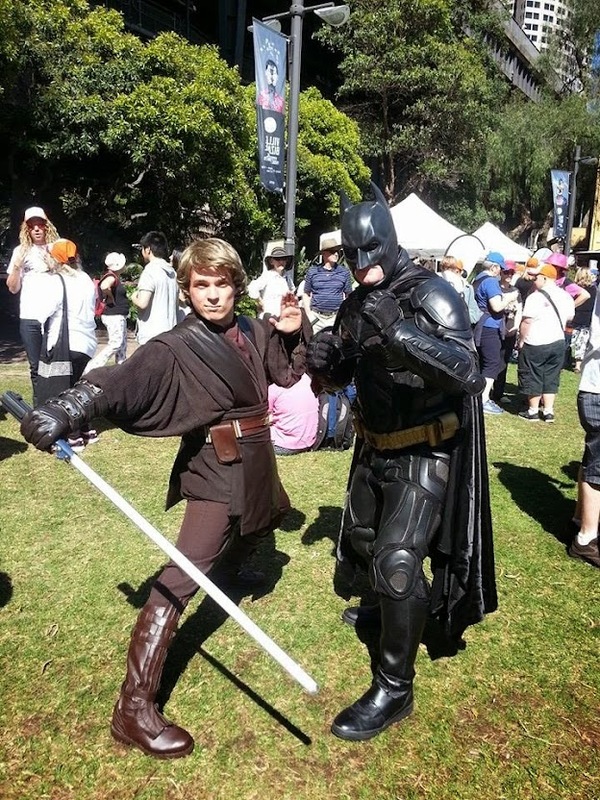 Batman and I walked around the park giving high five to kids, and posing for photos. We also stopped to get a quick photo with Tim Dormer (last years' Big Brother winner). 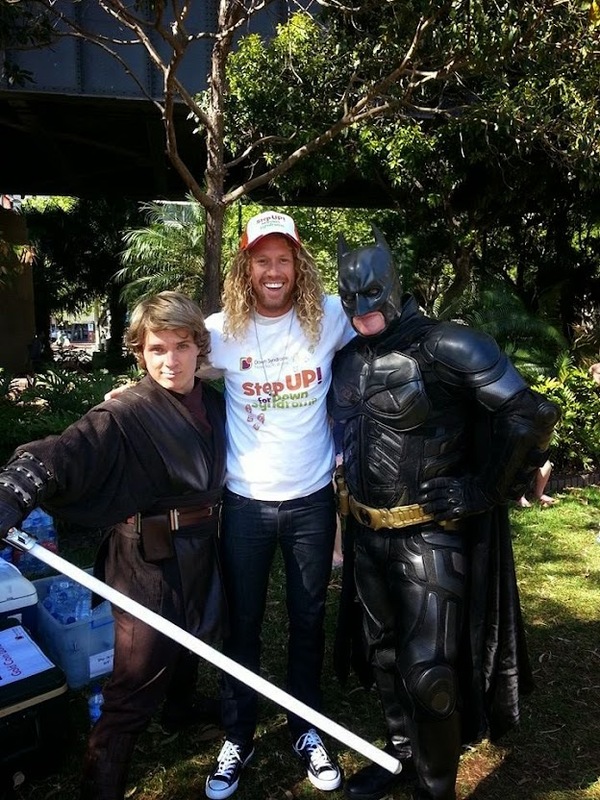 Eventually, the announcements started to be made for the start of the walk, and Batman and I finished up the troop. Overall - A fun day, awesome kids, and great weather!